Did 2017 feel more dramatic, frenetic to you? It did to me. 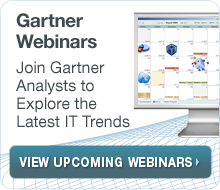 For sure, there is never a dull day in data and analytics at Gartner. While several of us are seriously heads down in the 2018 Analytics and BI Magic Quadrant, dreaming of dots rather than sugar plums, I wanted to take a moment to look back on the big things from 2017. 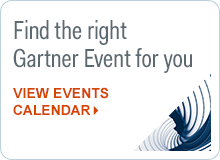 Data and analytics summits galore. Gone was the BI branding in the Gartner summit with combined events for BI, analytics, and EIM around the globe. Over 8000 attended. If you missed a venue last year, now is the time to register for these must-attend events next year. (Hint, I’m so excited about the keynote theme, new content, and in the U.S., the BI bake off!). Oh, and by the way, we’ve added Mexico as a venue in 2018. Inspiration. I try to attend user conferences as a way of engaging with customers and gleaning insights about vendors that I can’t get strictly from briefings, surveys, and calls. This year, though, the inspiration from conference keynote speakers was taken up a notch. SAP hosted both former first Lady Michelle Obama (as did Salesforce) and former President Bush, and ThoughtSpot hosted former secretary of State Condoleezza Rice, in addition to all those great customer stories! Augmented analytics and AI. My partners in crime—Rita and Carlie—published our view on the future of data analytics in the form of Augmented Analytics. It’s artificial intelligence and machine learning powering everything from data preparation to queries to insight generation. AI also took center stage at the Gartner Symposia, with our view that it is net job creator. Timely product insights to the Critical Capabilities. If you followed my work at BI Scorecard, you may recall I published quarterly updates to vendors’ product scores. I am thrilled that the Analytics and BI team has now incorporated more frequent updates to this note. It’s still a pilot and we still have some pending enhancements to the delivery, but the updates and pilot extend to several coverage areas in Gartner. We know you want timely insights in our written research (in addition to in our inquiries and blogs). For sure, in land-and-expanding buying markets (and cloud!) such as ours, the market changes quickly. I think this is important, but can you give me your feedback on these updates, lest the powers-that-be conclude it’s not all that important? Excellence Awards and Notes. I love case studies, so one of my favorite collection of notes in the last year are all the lessons learned from the Gartner Data and Analytics Excellence awards. But how I can I choose just one set of favs when we have data literacy (led by Valerie Logan), scarcity and abundance (led by Kurt Schlegel), and about 200 other new notes?! A word to the wise (and overwhelmed), follow our new research by key initiative (Analytics and BI Strategies, or Data Management Strategies, or Data and Analytics Programs). Acquisitions: Infor acquired Birst. Tableau acquired ClearGraph for natural language query. Data Robot acquired Nutonion. TIBCO acquired Statistica. And Gartner acquired CEB. I’m sure I’m missing someone in analytics and BI. Show me the money. A number of ABI vendors received additional venture capital funding in 2017. Private equity firms invested in Information Builders and acquired Logi Analytics. Diversity, inclusion and #metoo. Generally speaking, diversity is abysmal in IT, but slightly better in data and analytics. I think it’s partly a pipeline problem that is so hard to fix, but as Carol Rozwell correctly points out in this note, it’s also about inclusion. For sure, this was part of the major missteps at Google. Sexual harassment and the #metoo movement seems to be plaguing almost every industry right now, some worse than others. Honestly, I can say while this was a problem for me twenty years ago, it has not been a problem since. No doubt, some of my colleagues will unfortunately have had different experiences. How could we not, when women are still a minority at the worker bee level and in leadership? However, I think a bigger problem now is unconscious bias, especially when it so easily can get baked into all those algorithms. Hurricanes, tragedy, and hope. These hurricanes hit too close to home for me, particularly as my daughter and nephew almost didn’t make it out of Miami. Most airlines realtime pricing optimization algorithms didn’t work well in this crisis. Thank you Thomas Cook and United Airlines for flying in those last empty planes to bring them home safely, and to everyone who offered plans B,C, D, and E. The Gartner Ft. Myer’s colleagues were displaced as well, and friends in Houston traumatized. But in all this I have seen hope, in part powered by analytics and in part by the strength of our community. SAS has been doing some amazing work with Nethope in helping prioritize power restoration in Puerto Rico. The Tableau community rallied in helping Vegas shooting victims with its #data17donates. Salesforce Dreamforce attendees packed back packs for students affected by hurricanes. As this will be my last blog post for 2017, I wish you and your family happy holidays, Merry Christmas, Happy Hanukkah, and Happy New Year!